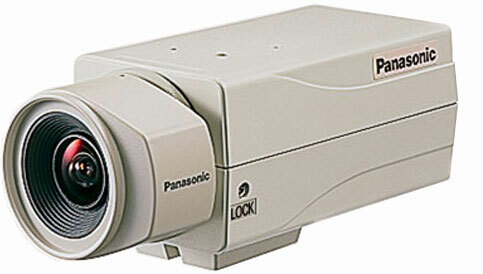 Panasonic's WV-BP140 Series B & W cameras employ advanced and versatile image adjustment functions and thus offer high resolution, sensitivity and flexibility with the help of 1/3-type CCD. The WV-BP140 Series black and white cameras emphasize high resolution and sensitivity and employ advanced image adjustment functions producing flexibility. By utilizing a 1/3-type CCD (251, 000 pixels), horizontal resolution is 380 lines, with a low 46dB S/N ratio. Minimum illumination of 0.08 lux (0.008 fc) is achieved when used with a F1.4 lens. This camera has various image adjustment functions including Back Light Compensation (BLC) and Electronic Light Control. An ELC function allows for the changing of shutter speeds up to 1/120, 000 second. This allows for sharper images, even in limited lighting conditions. The WV-BP140 Series is the perfect addition for CCTV surveillance applications. The Panasonic WV-BP144 is also known as PAN-WVBP144	or WVBP144	.